We were sitting in the State Dining Room just to the left of George Healy’s arresting portrait of Abraham Lincoln, seated forward and listening intently. I couldn’t help recalling the stinging words from his Second Inaugural Address: “Both [North and South] read the same Bible, and pray to the same God; and each invokes His aid against the other. Through Grace Church we ought to probably say for our first time guests we believe in two things that make the church what it ought to be. One is love. And that’s an honest kind of biblical love. The other is sound doctrine. And so our commitment is not only to love the brothers and exercise the ministry of spiritual gifts and the responsibilities of fellowship to one another, but it is also to systematically verse by verse teach the Bible. Believing that if we protect the saints, the saints will do the work of the ministry. And so in our study of the Scripture, we find ourselves in the book of Acts which is the historical record of the early church from the day of Pentecost through those early years. And we have come in our study to the 18th chapter and really begun what is one message in three parts as often we find is the case. We’re studying the subject generally from Judaism to Jesus. And beginning in 18:18 the Holy Spirit gives us three incidents or three little experiences that illustrate to us the transition that was taking place from Judaism to Jesus. This is continued from Part Two of my review and is the third and final offering in MacArthur’s “From Judaism to Jesus” series and thus my third and final review of the material. I thought I was through with MacArthur when I finished my reviews of the various sessions of his Strange Fire conference, but he keeps popping up on my radar screen. Hopefully, this last review of his sermons will put all the “demons” surrounding my dubious interest in this Pastor to rest. 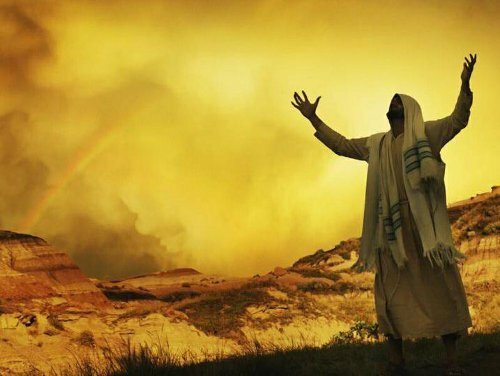 When Christianity was established and a new covenant was introduced, there were many Jews who found it very difficult to make all of the transition very rapidly. And so there were people in the midst of transition, coming to Jesus Christ from Judaism and caught somewhere in the transition. And we come in to this study to the third section of our transitional study, verses 1 to 7 of chapter 19 and we meet a group of 12 men who also are in transition. Now remember this, that the whole of Judaism pervaded all of these people’s lives, Christianity came in and it took a while for all of the adjustments to take place. In some cases like Paul, he couldn’t let go of some old patterns. Like Apollus (sic) he just didn’t know the whole Gospel. Paul personally had two extraordinary visions of the Master, was hand-picked by the exalted Jesus to be God’s emissary to the Gentiles and to take the Gospel message to the then-civilized world, and yet MacArthur has the bald-faced chutzpah to say that Paul couldn’t let go of Judaism because “he just didn’t know the whole gospel.” Amazing. I think MacArthur, like many Christians, believes that the gospel or “good news” is a New Testament invention of Jesus rather than one that is more expansive, dates back much farther in Jewish history than Jesus, and is not simply defined by the textual contents of Matthew, Mark, Luke, and John. If you’d like (or maybe need) a primer on what “gospel” and “the gospel message” means, please see the thirty-minute episode The Gospel Message of the First Fruits of Zion (FFOZ) television series A Promise of What is to Come. It happened that while Apollos was at Corinth, Paul passed through the upper country and came to Ephesus, and found some disciples. He said to them, “Did you receive the Holy Spirit when you believed?” And they said to him, “No, we have not even heard whether there is a Holy Spirit.” And he said, “Into what then were you baptized?” And they said, “Into John’s baptism.” Paul said, “John baptized with the baptism of repentance, telling the people to believe in Him who was coming after him, that is, in Jesus.” When they heard this, they were baptized in the name of the Lord Jesus. And when Paul had laid his hands upon them, the Holy Spirit came on them, and they began speaking with tongues and prophesying. There were in all about twelve men. Now remember, MacArthur is teaching that this passage indicates a transition is taking place in the lives of Jewish believers “from Judaism to Jesus.” In reading the text, I’m not seeing immediate signs of any difficulty with Judaism, struggle in transition, or some sort of apparent conflict between Judaism and Jesus. What does MacArthur have to say (besides, quite a lot)? Now that question posed in 19:2, “have you received the Holy Spirit since you believed” has become the favorite question of a modern movement in Christianity. And it’s not that I am here for the purpose of having a fight with any other Christians or egoistically declaring my own theology or trying to convince myself and you that I’m right and they’re wrong. The point of view that I take here is simply the exposition of the text. But I want to approach it in the light of a current movement because then I think you can see its significance. 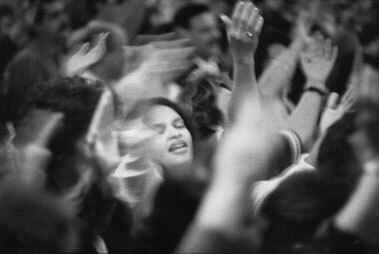 We live in a day when the movement that we know of is Pentecostalism or if you will the later movement begun in 1960 called the charismatic movement has posed this question as the question to ask Christians. “Have you received the Holy Spirit since you believed?” The view that they take is that you can be a Christian and not possess the Holy Spirit. And at some point after your salvation you then by a certain activity allowed through certain information to come to the knowledge of the fact that the Spirit is available to you and that you can receive the Holy Spirit in certain ways. Remember, MacArthur originally delivered this sermon in January 1974, nearly forty years before his controversial Strange Fire conference. And yet, he approaches the issue of Pentecostalism in basically the same manner four decades ago as he did just four months ago, and anticipates the response to his message in the words, “And it’s not that I am here for the purpose of having a fight with any other Christians or egoistically declaring my own theology or trying to convince myself and you that I’m right and they’re wrong,” knowing his message would sound like he was looking for a fight and to define right and wrong by his standards. When he says his point of view “is simply the exposition of the text,” he creates the illusion that he is only reporting the facts with no filters in place and no embellishment of the Biblical text. As we’ve seen time and again in analyzing his messages (and in examining just about anyone’s theological bent), there are always interpretive filters in place. The Bible can’t be understood without interpretation, even with the assistance of the Holy Spirit. Here, in the guise of an analysis of Acts 19 and even a replacement theory viewpoint of “from Judaism to Jesus,” MacArthur takes a stab at the Pentecostal church. It’s actually an interesting situation. Some people who were believers received the Holy Spirit and some didn’t know that they were supposed to. I don’t think that Cornelius and his household (see Acts 10) expected to receive the Holy Spirit. They just did. For that matter, did the apostles in Acts 2 really expect to receive the Spirit as “tongues of fire” or did it just happen to them without any expectation? Are you only a believer if you receive the Holy Spirit in an Acts 2 and Acts 10 way? I don’t recall any “tongues of fire” and speaking foreign languages or prophesying when I became a believer. Maybe I’m the same boat as the disciples in Ephesus who received John’s baptism but not the Spirit. For that matter, Acts 8 records the Ethiopian becoming a believer during his conversation with Philip but is conspicuous in that he did not receive the Spirit. He was just baptised in water and went on his merry way back home. Did Philip not know about the Spirit? Did he not receive it in Acts 2? I wonder what MacArthur would think about all these monkey wrenches in the machine? When he became a believer, did he see tongues of fire, speak in foreign languages and speak prophesies? If not, why not? Is that one of the “gifts of the Spirit” we don’t experience today? Do we just presume that the Spirit inhabits us when we declare our faith in Messiah? If you make the book of Acts the norm, then you got tremendous problems. You’re going to have to allow for revelation current today. You’re going to have to allow for Apostles today. You’re going to have to allow for all of the signs and wonders and miracles that accompanied the early church and the various manifestations. Not just in some segments of Christianity, but throughout unqualified. There are many problems. MacArthur spends quite some time going over various arguments he has with Pentecostals, which isn’t what I expected to read about and isn’t the focus of my interest in this sermon series. He does seem to say that we can’t expect to receive the Holy Spirit as believers in the manner commonly observed in the Book of Acts, so I guess that covers those of us who didn’t have a “tongues of fire” experience. Actually in this, I tend to agree more with MacArthur than some of his opponents. We don’t seem to find the same experiences when we become believers as the apostles and early disciples did. So as we see in the book of Acts is a transition. The new covenant comes, the old covenant has died and as the book of Hebrews says, “It fades away, it decays and grows old.” But as the new covenant arrives, the people come to Christ which is a momentary miracle; they still find it difficult to make the full transition. And so in the book of Acts, there are various transitional things occurring. There are some old things that just kind of die slowly. Some old forms like for example, the early church met in the synagogue. Again, this is straight replacement theology, with the New Covenant directly replacing the Old Covenant rather than, as we see in Jeremiah and Ezekiel, the New Covenant restating and reasserting the conditions of the previous covenants for Israel. In fact, only one condition in the Abrahamic Covenant can be directly applied to Gentiles having a binding relationship with God, and that’s only through faith as Abraham had faith. And it’s only because that one condition in the Abrahamic covenant is carried over and restated in the New Covenant that Gentiles have access to reconciliation with God through faith. In other words, there’s no provision in the covenantal structure for new to replace old. New simply ratifies older and re-emphasizes it. It took me a long time to figure this out, about eleven blog posts worth, starting with this one. The revelation in my self-education is why I can’t swallow the traditional Christian replacement theology model. The Bible, and particularly the language around the New Covenant, just doesn’t support it. “Paul after this charity good while in Corinth and then he took his leave of the brothern, (sic) sailed from there to Syria, with him Priscilla and Aquila. Paul having cut his hair in Cenchrea for he had a vow.” And that tells us he was in transition, he was still making vows on an Old Testament basis, Nazarite vow and he did it in thanks to God for delivering him from Gallio and from those Jews in Corinth who wanted to take his life. No, Pastor MacArthur, that tells us Paul took a Nazarite vow in accordance to Numbers 6. There’s nothing in the text that says anything about a transition. Please stop reading into the text. Now this shows you this stringent nature of Paul’s Judaism, even though he was a Christian, he still wanted to fulfill this vow in the right way and he wanted to be there for the feast which was a Judaistic feast. MacArthur sets Christianity and Judaism in sharp contrast to one another, making them mutually exclusive. One could not practice Judaism as a Jew and at the same time pay homage to and be a disciple of the Jewish Messiah. That is a crazy statement to make, but all too many Christians don’t see the glaring error in Biblical interpretation. If Sola Scriptura is really supposed to mean “by scripture alone,” traditional Biblical interpretation in the modern Christian church doesn’t meet this standard by a long shot. You can’t be reading the plain meaning of the text in the larger context of the book and the even larger context of all of the scriptures and come to the conclusions at which MacArthur arrives. Ezekiel 36:26. You don’t need to turn to it, just listen. God says, now watch this promise. “A new heart also will I give you, and a new spirit will I put within you.” verse 27. “And I will put my Spirit within you.” Now do you read any conditions there? What are the conditions for getting the Spirit? What are they? Is there an if there? Nope. God says I will do it. Now the credibility of God is at stake. If a Christian has to do something to get the Holy Spirit then in theory, there are some Christians who never do that something so they never get the Holy Spirit. Therefore the promise of God is invalidated in their behalf. No the credibility of God is at stake. And secondly the credibility of Jesus is at stake in John 14, verse 16. I find it astonishing that MacArthur can read one of the key texts that describe the New Covenant and still not know what it means. Do we have a new heart and a new spirit yet as Christians? We do? Really? Then why do we still struggle? Why do we still sin? If we got that new heart and new spirit already, what can we look forward to in the Messianic Era when human beings are perfected and King Messiah establishes his reign of total peace and understanding of God? I hope you understand that. And again I hope you understand that this is said with a sense of love and a sensitivity to the fact that many could construe that I am bitter towards these people (the twelve disciples Paul encounters in Acts 19:1-7). I am not; I am zealous for the glory of God. Well so we meet the third party in transition. Let me close by saying this. We met three little transitions here, didn’t we? First Paul, then Apollos, then the 12. And you know something? We’re a long way from the book of Acts. But we see these three groups still. You know that in the church of Jesus Christ we’ve got people like Paul who are saved, have come all the way to Jesus Christ, but they’re hanging on to legalism? There’s no way to know what MacArthur really thinks and feels, so I guess I have to take it for granted that MacArthur really doesn’t have it in for the twelve presumably Jewish disciples under discussion because they had the baptism of John but not the Holy Spirit. 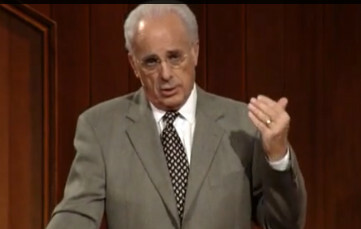 MacArthur, referencing his first two sermons as well as this one, says that Paul, Apollos, and the twelve were all Jews in transition from Judaism to Jesus. They’re hanging on to old patterns, traditions, even some Jewish people who find it very difficult to fully absorb themselves in the life of the church. And I say this; I praise God for Jewish Christians who function fruitfully in the ministry of the body of Christ as opposed to maintaining isolation. But you know we have many believers today in Christ who are still they’re not in yet. They’re still holding on to old things. And then we have people like Apollos, sure we have people who good people, honest people, repentive sin, they just believe in God, but they’ve never met Christ. It seems that MacArthur is praising the Jewish people who have become believers and assimilated into the Gentile Christian Church, while “challenging” or “not praising” those Jews who are believers but who “can’t let go of the old ways” and saying they know God but haven’t met Christ. They’re “not in yet,” according to MacArthur. So much for Messianic Jews, apparently. They aren’t real believers until they set aside the mitzvot and the traditions and function just like goyim in the Church. Ham sandwich, anyone? Maybe they think of Jesus as a wonderful teacher, a man of great ethics, they never come to the cross and the resurrection. And then we’ve got a lot of people running around who are uninstructed in the Holy Spirit. Much of it is because they don’t even know Jesus Christ. Some know Christ. And grieve the Spirit by misunderstanding His marvelous work. I hope you’re not in transition. I hope like the writer of Hebrews says, “you will come all the way to the fullness of experiencing all that God has provided for you.” Let’s pray. And so we come to the end of the sermon and the end of the sermon series. 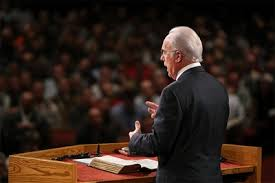 As far as praying goes, now that I’ve reviewed three of MacArthur’s sermons as well as writing multiple reviews of the “Strange Fire” presentations, I pray I can let go of John MacArthur. He can travel his particular trajectory and I can travel mine. Addendum: Turns out my Pastor preached on this part of Acts as well recently. Tomorrow’s morning meditation will contain my Pastor’s take on some of this, which should augment and occasionally modify what MacArthur preached. I do believe you’ve identified the means whereby it will be virtually impossible for you to let go of MacArthur completely: The Pastor of the church you attend, the other teachers of classes within its context, will invoke his ideas continually as native to fundamental Christian interpretation of the scriptures. You’ve complained previously about the difficulty of attempting to raise up this “fallen tent of David” because of encountering all too many people who seem intent on knocking down the tent as soon as they notice it. Therefore it will likely continue to be a frustrating cycle for quite some time, though we may continue also to hope that progressively fewer Christians will wish to continue the demolition as more discover the value of the tent. Tomorrow, I write about how my Pastor treated the same material as MacArthur did and then on Tuesday, I “discover” just how deep the problem goes in the Church as a whole, both historically and currently. Yes, it is indeed daunting. James, once again it’s illuminating to read, since I listened to him for several years in my 20’s, and then wondered why it was so difficult to come out of the fog so to speak after marrying my Jewish husband. It’s doubtful you will ever penetrate JM’s theology, the HS will be the one to do that. There’s nothing like having a sensitivity to the Jewish people to see the bubble we Christians tend to live within. If believers are so spirit filled, explain to me the lack of more Christian resistance during the Shoah. There is a LOT good in Christianity, and I know this firsthand, but running around with a Pollyanna mentality while Jews suffered horribly makes me crazy. If we “replaced” them (of course we didn’t, just say in’) then it was our responsibility to seek justice on their behalf. There’s no getting around it. I’m no longer a big believer in a rapture as taught by many evangelicals – but – if it were true the real motivation might be to get Protesting Catholics such as Dr. MacArthur off the scene so YHVH can press towards His work with Israel. Not sure, it looks like my earlier comment got lost somewhere along the line. Anyway, good job James. All comments need to be approved, Sojourning, so your previous comment was in moderation while I was at church. It’s all here. I agree that I’ll never change MacArthur’s stance on things (not little ol’ me) and in fact no one of us changes anything apart from the Holy Spirit. We had a missionary from the Congo speaking at church today preaching on being courageous and that God hasn’t given us a “spirit of fear.” Made me think of Boaz Michael, Tent of David, and my “mission” in the church as a tent builder. How courageous and persistent should I be on this particular “mission field” where the word I have to speak is unwanted? Daniel, I’ve heard a very interesting take on the rapture that couples it with Messiah returning the Jewish exiles to Israel, not spiriting away the Church to Heaven. It’s one of those things I’m not sure about yet since I haven’t looked into it specifically. It certainly seems that way, Yahnatan. Needless to say, he’s against it. This may come off as rather harsh, but I don’t believe we pray to the same God. They pray to Antiochus or Zaphenath Paneah. They may be doing it sincerely. While the leaders may be blinded and hardened, some of their followers may not be. Let he who is thirsty come. @chaya — I believe this is the second time I’ve seen you lump together the names Antiochus and Zaphenath Paneah as alternative gods. Now it is true that Antiochus the Greek declared himself to be a god, as did the Roman Emperors after him — none of them having any sense of what might be appropriate qualifications for real godhood. However, I don’t understand why you pick on poor Zaphenath Paneah, which was Yosef ben-Yacov’s official Egyptian title while he was administering the food supply during seven years of grain collection and storage in preparation for the great seven-year famine that he had predicted and while distributing and selling grain from those stores during the famine itself. The name itself indicates something like “bread-storage guy” (i.e., administrator of the grain treasury). And while these ancient Egyptians had a tendency to deify all sorts of things, Yosef did not become a part of their pantheon. Since he’s not around to defend himself these days, I thought it might be nice if I would ask you not to cast aspersions on his name, even if it was rather a goyische foreign title that we would ordinarily not expect to find pinned on a nice Jewish boy [:)]. On the other hand, sometimes it does seems that godhood comes cheap. After all, even HaShem is quoted in Ps.82:6 to say that some less-than-honorable humans were nonetheless gods (thought they were nonetheless destined also to die like humans). And some modern religious viewpoints consider each individual to be god (though such views rather call into question their philosophical astuteness or their definition of the term, or both). Regardless, I don’t think it is accurate or meaningful to cite either of the names in your post as representing alternative worship objects for modern Christians, regardless of the widespread ignorance of many of HaShem’s truest values. Just an addition since you can’t edit 😦 I mentioned this to Dr. Brown, that I didn’t believe some of these people were following Jesus, but following the one whose name they call themselves by, John Calvin, as well as the others mentioned. Dr. Brown did not provide evidence to refute my statement (at least he responded) but started a whole new post claiming that it was unkind to say such things, thereby skirting the issue. I don’t fall for logical fallacies, but most in that camp do. It might be a little much to say that Christians don’t pray to the same God as you and I. It’s probably more reasonable to say that they conceptualize God and His plan differently. It’s also important to realize that as much as we may disagree with people like MacArthur, he was still created in the image of God and God still loves him as much as He loves you and me. James, I don’t mean all Christians, but some of these teachers like JM, I don’t know. We know the major issue in Christianity is doctrinal agreement, and if one agrees with your doctrine, they are “in,” so to speak, and you assume that while you may not be on the same page, you are at least in the same sheepfold. But perhaps not. To say that blindness is a lack of intellectual understanding is Greek thinking; I believe it is judgment. Pharoah hardened his heart, and then God strengthened his heart. Pharoah hardened his heart some more and then God hardened Pharoah’s heart. It’s an interesting dance. This tent of David thing, you have to assume that these people you are communicating with belong to Messiah and just understand him differently. But there is the wheat and the chaff; the sheep and the goats. There isn’t going to be any restoration without repentance. You can’t pretty it up and flatter people and say, “You were doing good but you can do better. Or, this is going to help enrich your faith and make your life better.” No, perhaps it will lead to rejection, hatred and even death. Let’s be honest. I don’t believe YHVH needs to get anyone out of the way in order to fulfill his purpose. I believe these teachers are judgement upon a people who desire them. I tend to agree that any “rapture,” is a returning of the people to the land of Israel who aren’t already there. I’d prefer to err on the side of compassion, Chaya. There are many people I worship with on Sundays who understand the Bible somewhat differently than I do, but I have no doubt that they’re serving God to the best of their ability, and many of them serve him quite well. Today (Monday), my blog post on how my own Pastor sees the same scriptures MacArthur preached on publishes and then on Tuesday, what I consider to be the biggest and most fundamental misconception on the Bible by the Church goes online in the morning. But Tuesday afternoon, a blog post balancing the equation, so to speak, will become available, one that shows a more encouraging side of Christianity, at least on the local level. That we have doctrinal disagreements does not automatically means one side is all good and the other side is all bad. It means that all human beings struggle to understand what the Bible is teaching them/us about God. Some people, like MacArthur, have their minds made up and no amount of evidence to the contrary will ever convince them that there are different and more valid interpretations. Not all Christians, thankfully, are like that. @PL: I use the term Zaphenath Paneah because there are those who don’t see the one they worship as he truly is. They may obey and serve him, but are unaware (perhaps purposefully, perhaps not) of his real identity. But as in the story, he didn’t choose to reveal himself to them, but they did hear his wailing. I think the coming blog posts will be informative. And I agree you waste your time arguing with people who choose to be blind, and it is also counterproductive. I see the veil being lifted from both sides. But those who prefer their blindness, I believe they will find themselves in even deeper darkness. I have a question for the historians here, and I think PL is one of them. Were the Anabaptists the first among Christians to turn away from the hatred of Jews? I read something about one of the Anabaptists that had the help of a rabbi in creating a translation and was castigated for this.